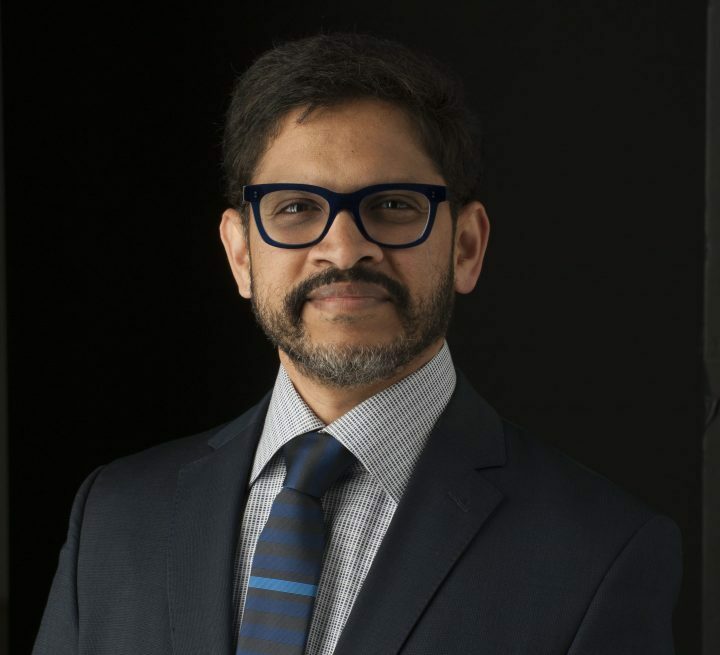 Dr. Mahesh Daas is an award-winning designer, prolific author, and an innovative academic leader. He serves as the dean of the School of Architecture & Design at the University of Kansas, one of the 62 AAU research universities in the United States. His academic career spans 22 years at four universities including 14 years in administration as chair, associate dean and dean. Daas earned a bachelor’s degree in architecture from Jawaharlal Nehru Technological University, Hyderabad, India, in 1990 with A.P. Riding Club Gold Medal; a master’s degree in urban design from Kansas State University in 1994 with John F. Helm Award for professional promise; and an executive doctorate in higher education management from the University of Pennsylvania with distinction for dissertation in 2013. He has also received executive certificates in management from the University of Texas at Austin and Harvard University. Daas’s interdisciplinary work has been featured in scholarly journals, refereed exhibitions, conference proceedings, federal publications and academic books. Most recently, his co-edited book Towards a Robotic Architecture (2018, Oro Editions, with AJ Wit) is the first comprehensive book on robotics in architecture and features 42 leading researchers from around the world. The book reframes robotics and defines robotics research in architecture here on Earth and on Mars. The book has been chosen as Top Tech Book of 2018 by Architect’s Newspaper. Daas is a seasoned designer with many competitions and commissions under his belt. He is a co-recipient of a Kansas City chapter of American Institute of Architects Merit Award for the Baron BMW Dealership building in Merriam, KS in 2001; and a co-recipient of International Fabrics Foundation Outstanding Achievement Award for the design and construction of Advanced Fabrics Exhibition in San Antonio, TX. In 2007. In 2000, he won the second place in the high-profile American Institute of Architects + U.S. Department of Energy Sun Wall national competition in Washington, D.C. Throughout his career, Daas has been honored for his creative achievements, leadership, and innovative approach to teaching. He has delivered invited lectures and keynote speeches at scholarly forums all over the world. Daas was recognized for his longstanding contributions to design computing with the 2013 ACADIA Society Award of Excellence. The Association for Computer Aided Design in Architecture (ACADIA) has elected him twice as its president. He’s also been elected thrice to serve on the editorial board of the International Journal of Architectural Computing (Sage Publications). In 2011 he became the youngest educator and the second person of Asian origin to be chosen as an Association of Collegiate Schools of Architecture Distinguished Professor, the highest national recognition for an architectural educator. Fewer than two percent of architectural educators have been so honored since the inception of the ACSA national career awards program in 1984. Daas is a perpetual member of the ACSA College of Distinguished Professors. Daas has been actively involved with federal funding agencies. He has been a peer reviewer for the National Science Foundation (NSF). He was a member of the United States NSF delegation to Israel in 2010 to explore bilateral research opportunities between the countries in sustainable materials and technologies. Daas also has served on research grant review panels for the Canadian government. In 2011, Daas co-chaired a National Science Foundation symposium and workshop entitled Research in Materials and Manufacturing for Extreme Affordability in collaboration with ASME and IEEE. His creative spirit extends beyond his professional work: Daas is also an award-winning creative writer and poet with an interest in existentialist and Latin American magic realist literature.